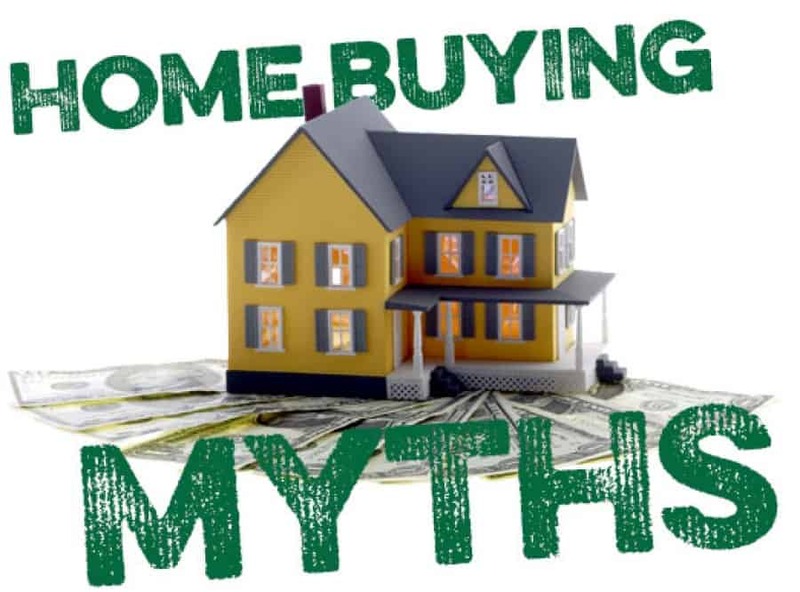 First time buyer home loan myths can really be distracting to a new buyer that doesn’t know any better. Before falling into this pitfall do your research and ask a family member or Realtor for a referral to a mortgage lender. Lenders, like real estate agents are there to guide and assist you through the loan process and will be happy to answer any and all your questions. The combination of a good lender and Realtor will make your home buying experience a pleasant one. Many buyers believe it’s to difficult to get approved to buy a home. This is probably the biggest misconception in the lending world. Granted lenders have made things more tight than they were in 2006 and 2007 but that’s only because of the mortgage fall-out. In those days a buyer that had a pulse would likely be approved for a loan, looking back, I think everyone can agree those guidelines were a bit to relaxed. Nowadays a buyer with not great but decent credit, a little money down and proof of employment is a great candidate to buy a home. For more information on down payment information, check out our article Buying a Home With Low Down Payment to learn more. Another major myth is that a buyer needs to have great credit. This is simply not the case, did you know you can buy a home with a FHA loan with as little as 3.5% down and a 580 FICO score? What about the buyers that have less than a 580 FICO score? They can also qualify with as little as 10% down but must have a FICO sore of no less than 500. Now with scores likes these there is no margin for error so the slightest swing in score may kill your entire transaction. When buying a home make sure you’re paying all bills on time and not buying anything frivolous, exceeding your debt to income rations may also kill your deal. For more information on proper preparation before buying check out our article, Think About The Future Before You Buy. Home Buying Tip: Before shopping for a home, consider talking to a lender so you know your FICO score and also what you can qualify for. One of the worst things a buyer can do is find that perfect home and realize they cant afford the home or even worse cannot qualify. It is not important to check your credit score before you start looking for a home. “Preapproved” and “prequalified” are the same thing. You can wait till after you find a home to speak with a lender about getting a loan. You have to have at least 20% down to buy a home. It’s best to focus your own home search solely on what you want. For more information on other first time buyer home loan myths, please contact us or leave a comment below. We’d appreciate the opportunity to assist you!